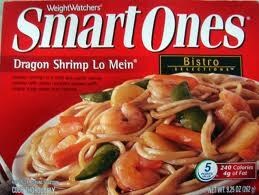 Smart Ones Entrees only $0.79 each w/ Coupons + Gift Card! Yay! I can finally use all the Smart Ones coupons I've gathered over the past few weeks! Starting 1/8, most Target stores will have Smart Ones Entrees on sale for $1.79 each. Stack a few coupons plus get a gift card, you can get an awesome deal on them! = $7.90 for 10 or $0.79 each!